Tumi from The Volume became Stogie T, an alter ego that doesn’t shy away from the more decadent things in life. Phumlani S Langa listens to the second project from Stogie T, which elevates requirements for local rap music. It isn’t often that I find myself listening to a local masterpiece. However, when bumping this mixtape by Stogie T, I realised I was listening to the pinnacle for local rap this year. On the back of his dominant appearance on Sway, the veteran rapper tweeted about being heard by the right people and what that could do for a rap career. After hearing this album, I feel this cat should get picked up internationally. Someone call Rick Ross and get him to give Stogie a few Justice League beats. However, producers Co Kayn and Tru Hitz outdid themselves with the production. It was a smart move to transition from more conscious to luxury raps. But Stogie can talk about Gucci moccasins with a horseshoe on them and just as effortlessly address the hardships of life in a city like Joburg. From the intro when a young woman recites a poem, I knew this was the best project I would hear all year. Straight grown folk music, the type you listen to while driving slowly in the fast lane. Stogie T even made J Molley sound good on the hook for the slapper Pretty Flower with Kwesta and Maggz. On Reckless, Stogie drops a haunting ballad, an ode to hedonism and balancing family responsibilities. The emotional instrumental is driven by fragmented guitar strings and Lucille Slade’s melodious vocals. A few tracks on this record make use of an approach I have come to look out for in current rap, which is to take a trap beat with a sample and matching it with lyrics that are actual 16-bar verses. The title track shows this off well and so does Rapture and Numbers Game featuring Youngsta CPT. Side Chick sees Stogie and Rouge play out a rather difficult social circumstance. I usually hate the romantic offering on any record, but Side Chick is an example of how romantic ballads should be done – not too soppy and cute. Ayanda sings the hook soulfully making way for Rouge’s verse which rings out like a response to Stogie’s. In Johazardousburg Stogie’s first few bars involve this scheme: “Welcome to Johazardousburg, city of lights where actions follow your words, sights and sounds police sirens are heard.” If you live in Joburg then this should resonate with you. The city of gold is a place where you “need some nerve to navigate the curve”. I’m glad he capped this tape at nine tracks, any more would’ve been too much for anyone to follow. That said, the final joint God’s Eye is basically like five or so songs stitched together to form a symphonic movement. This record is strictly for the streets where we dream of a life of luxury as an array of dangers seek to derail us. 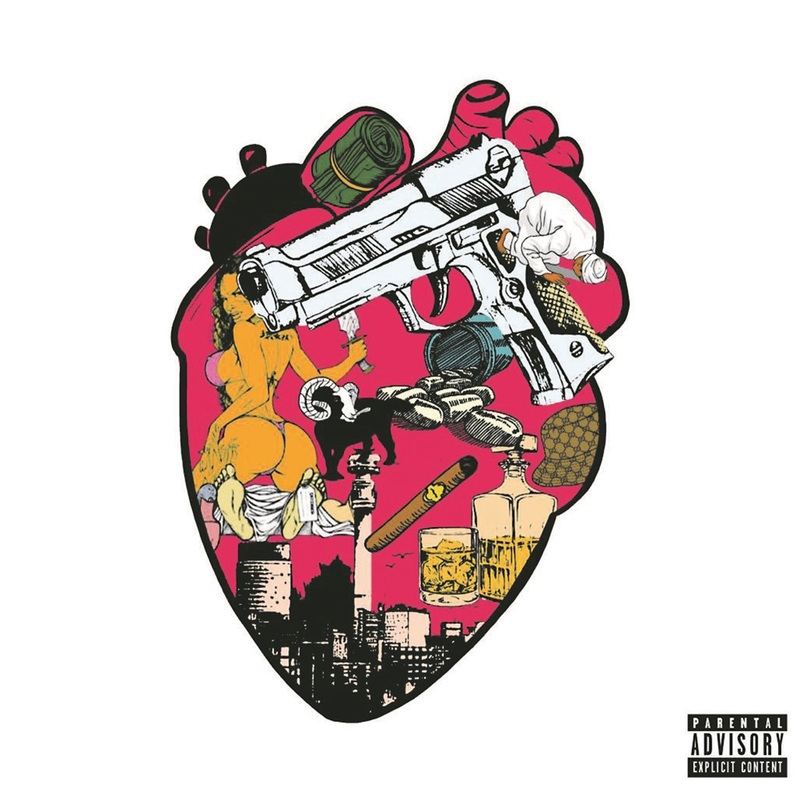 Joburg is perfectly encapsulated in this, the best rap tape of the year.